Apparently I have a thing for gold mirrors. I didn't realize it until after my last trip to the thrift store, where I bought three. Three more than the two we already have. I thought about painting them. 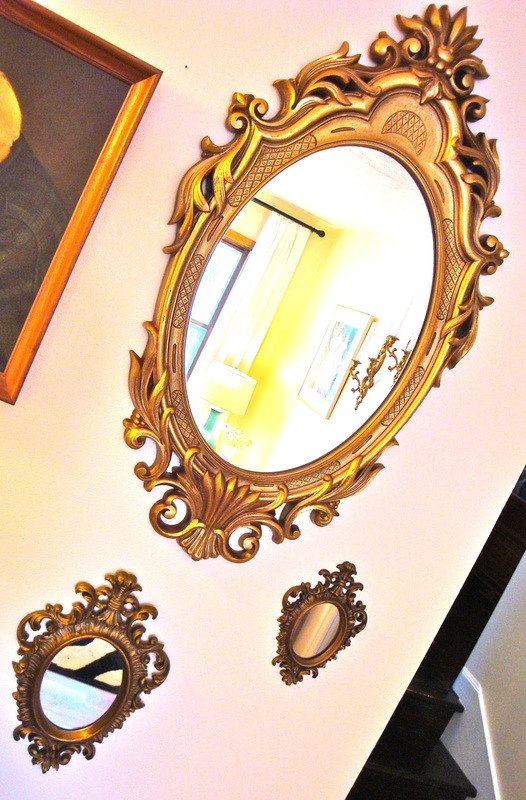 I mean, is five gold mirrors in a house under 1,000 square feet too many? But I generally like to live with something a for a bit before altering it--hopefully preventing rash decisions I'll later regret. Up they went. I debated where to hang them and think I found the perfect spot. In the front room. Across from the picture window so they'll reflect all sorts of yummy light. I was a little nervous that this corner would look a bit too busy with the gallery wall on one side of the stairs and the mirrors on the other. But I think I'm feeling good with the combo. UPDATE: I painted this trio. See more here. 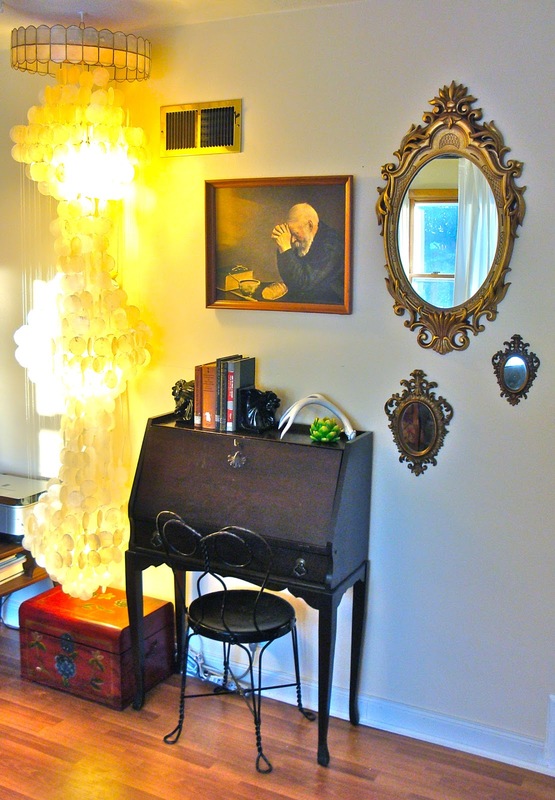 I like the eclectic look of your living room, well done! I just discovered your blog and i love it! Can't wait to see more posts as you continue decorating.